Having finally emerged from a long period of civil war in 2009, Sri Lanka opened its doors to tourists once more. Less than 10 years later, the tourist industry is now thriving and the country is becoming an increasingly popular travel destination. Although the tourist infrastructure isn’t as developed as some other Asian countries, this gives you the chance to experience Sri Lanka like a local – whether it be on scenic train journeys or buses packed to the brim. Getting around is budget friendly and easy, so make sure to check out this guide to public transport in Sri Lanka. For a small country, there’s plenty to see and do too. 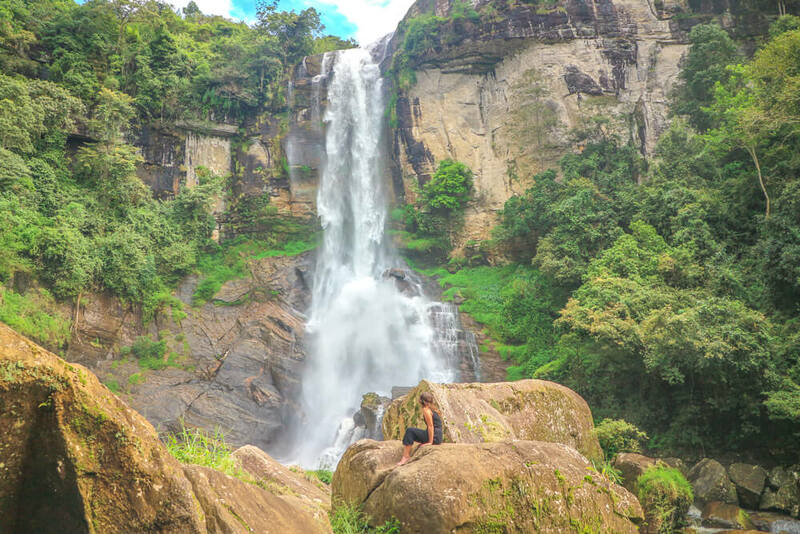 In the hill country you can visit cascading waterfalls and seemingly endless tea plantations in Nuwara Eliya. Along the coast you’ll find an abundance of beaches and beautiful colonial cities. If you’re an animal lover, you simply cannot miss out the national parks and the incredible wildlife encounters on offer – with Sri Lanka being one of the best places in the world to see leopards! Find out how to make the most of your trip, with these 13 tips for travelling Sri Lanka. If you’re wondering what to pack for your trip, check out our packing list for Sri Lanka. 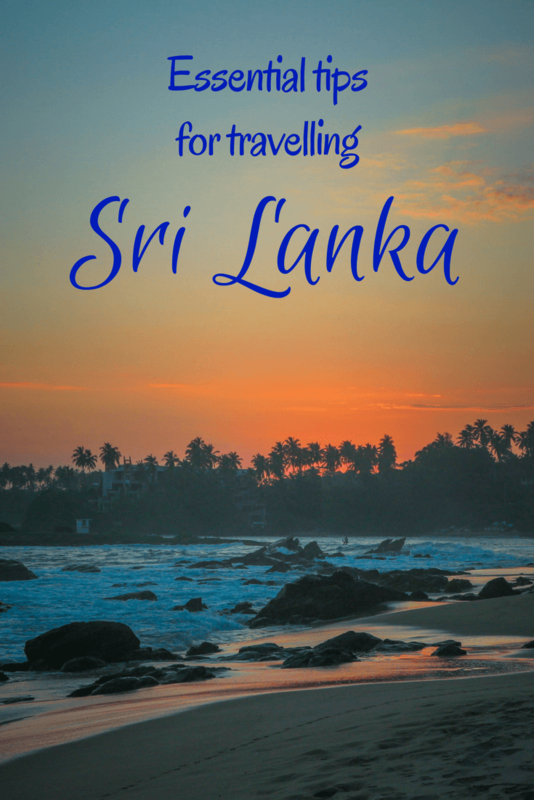 It’s a great guide of things to pack for when you travel Sri Lanka! Stilt fishermen – real or fake? Sri Lanka provides the opportunity to see some of the world’s most fascinating animals up close. In Mirissa there’s the chance to see blue whales, while Yala National Park boasts the highest density of leopards in the world. The country is also home to elephants, monkeys, crocodiles, buffalo and more! While there are some incredible wildlife experiences available, it’s unfortunate that in some instances little respect is shown for animal welfare. In particular, the Pinnawala Elephant Orphanage is getting a reputation for its poor treatment of elephants. Sadly this hasn’t stopped masses of tourists from visiting but we strongly recommend against doing so. Elephants are chained up and stabbed with spears if they aren’t moving quickly enough. 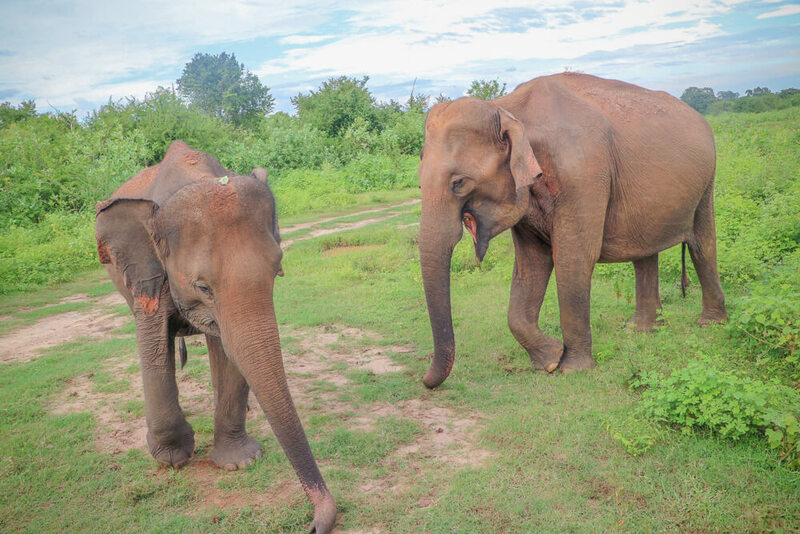 Sri Lanka offers the chance to see elephants in the wild, which is a much more rewarding experience as you know your money will be going towards saving wild elephants in Sri Lanka. When deciding your plans it may not always be immediately apparent if an attraction or tour is ethically sound. It’s worth searching online in advance and in particular reading trip advisor reviews to check for negative feedback. Even if you do this and all the reviews seem positive, it’s still not a guarantee that it’s ethically sound – as Abbi from Spin the Windrose covers in her article on why she regrets visiting a sea turtle hatchery in Sri Lanka. We can’t overstate the importance of planning your Sri Lanka travel itinerary carefully in order to avoid unethical animal experiences. Seeing animals in their natural habitat is unsurprisingly a lot more rewarding than seeing them chained up and being treated badly. The West and South West monsoon season runs from May to September. The East and North-East monsoon season runs from October to February. Despite this, the country’s proximity to the equator means temperatures remain relatively constant year round. There’s also an inter-monsoonal period from October to November which can cause storms anywhere on the island. To get a real understanding of the monsoon seasons and when is best to visit what area, we recommend reading this helpful article from Selective Asia. Planning ahead to avoid being caught in one of the monsoon seasons is undoubtedly one of the most important tips for travelling Sri Lanka. As is common when travelling, foreigners often pay higher entrance fees to attractions. This is something we’ve experienced round the world, but it’s worth knowing before you travel in Sri Lanka. Haggling is commonplace in Sri Lanka – whether it’s for clothes at a market or for a tuk tuk ride. More often than not, prices are negotiable and you’ll originally be quoted a higher price than locals would pay. Different tuk tuk drivers offer different rates, so it’s worth finding another driver to ask to try and get a better price if you are quoted a high price the first time of asking. Always negotiating is one of the best travel tips for Sri Lanka! Travelling without insurance is a huge risk that could come back to hit you hard where it hurts – your bank balance. If you’re unsure where to start with insurance, we recommend World Nomads. They offer great policies for travellers around the world and you can even get insured if you’ve already started your trip. Fill out the form below to get a quote within seconds to make sure you’re fully covered if anything goes wrong on your trip! Firstly, it’s important to know that the majority of people we met in Sri Lanka were friendly and helpful. That being said, like anywhere else in the world, some people will try to scam you. Immediately after leaving the airport a tuk tuk driver tried to rip us off, but fortunately we’d done our research. We wanted to catch a bus from the airport to Colombo Fort station. The driver told us the bus stop was 2km away and agreed to take us there for 200 rupees. After he started driving he told us the bus was very expensive and that he could get us there faster and cheaper via tuk tuk. He claimed the bus cost in excess of 3000 rupees per person. As we had already checked transport prices we knew he was telling an outright lie. Upon request to go to the station anyway he refused and began arguing with us, attempting to heavily overcharge us. Eventually we insisted on returning to the airport and so he took us to a bus station nearby, from which we were able to catch a bus to Kandy for 200 rupees each. While this may not be too common, it’s easily avoidable if you’ve done your research on pricing. As soon as he started telling us prices we knew he was trying to rip us off. We recommend using wikitravel and blogs to get up to date price information before your trip so that you won’t be tricked into paying excessive amounts for what should be a cheap journey! It’s also worth checking out this article on common tourist scams in Sri Lanka. In recent years, pictures of stilt fishermen in Sri Lanka have sparked travellers into wanting to see this unique practice for themselves. While stilt fishing is still a way of life for some, unfortunately other locals are exploiting tourists’ interest to make money. In Weligama, some locals charge travellers to take photos of them ‘stilt fishing’. The problem is, they aren’t actually fishing and will only get on the stilts if paid to do so. If you’re not willing to pay then you’ll only be able to take a photo of empty poles, with no fishermen in sight. The sad truth is, more often than not photos of stilt fishermen aren’t showing a traditional practice still used to this day. Instead they show Sri Lankans trying to make easy money from tourists seeking to recreate a picture perfect shot for Instagram. Despite this, there are some genuine stilt fishermen left in Sri Lanka. To find these you’ll need to go to less touristy areas. One place that does still have real fishermen is Polhena beach, on the outskirts of Matara. For more detail of where to find true fishermen in this area check out this article on Beach Don’t Kill My Vibe. If you’re interested in seeing true stilt fishermen in action, it’s worth heading slightly off the tourist route to do so! 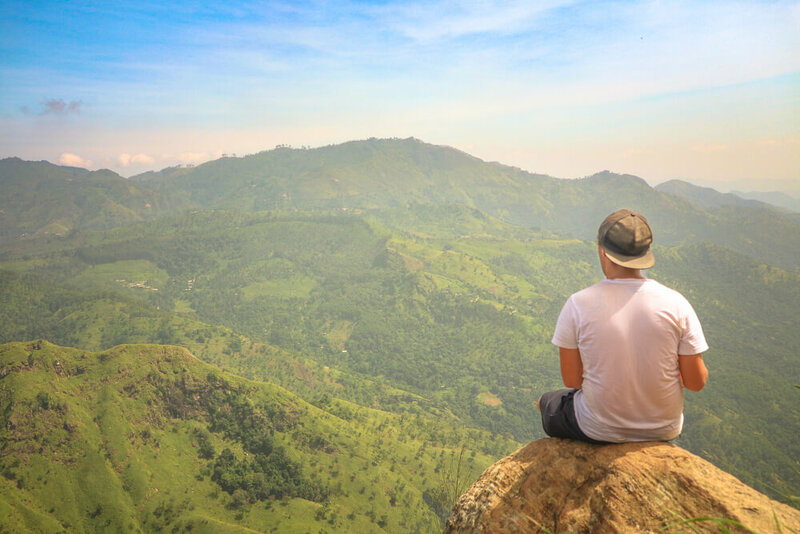 While it’s generally a cheap country to travel around, some of the things to do in Sri Lanka are quite expensive. If you want to visit the ancient rock fortress of Sigiriya you’ll have to part with $30 USD (at time of writing approximately 4600 rupees). Likewise entrance to Horton plains will set you back around 4000 rupees (although this varies depending on the size of your group). For a safari at Yala National Park you’ll pay around 9000 rupees per person. Despite this, there are ways to minimise spending on entrance fees/attractions if you’re backpacking or travelling Sri Lanka on a budget. If Sigiriya rock is out of your budget, the nearby Pidurangala rock costs just 500 rupees to climb. Pidurangala rock offers similar spectacular views, including an incredible view of Sigiriya rock itself. An alternative to the expensive safaris at Yala, is to take one at Udawalawe national park. A private safari for 2 cost us just 10,000 rupees, almost half the cost of a single person for a group safari in Yala. It’s worth noting though that leopards sightings are much less common in Udawalawe – our driver said he normally only sees one a year. That being said, there’s still an abundance of wildlife to see including elephants, buffalo, crocodiles, monkeys and more! 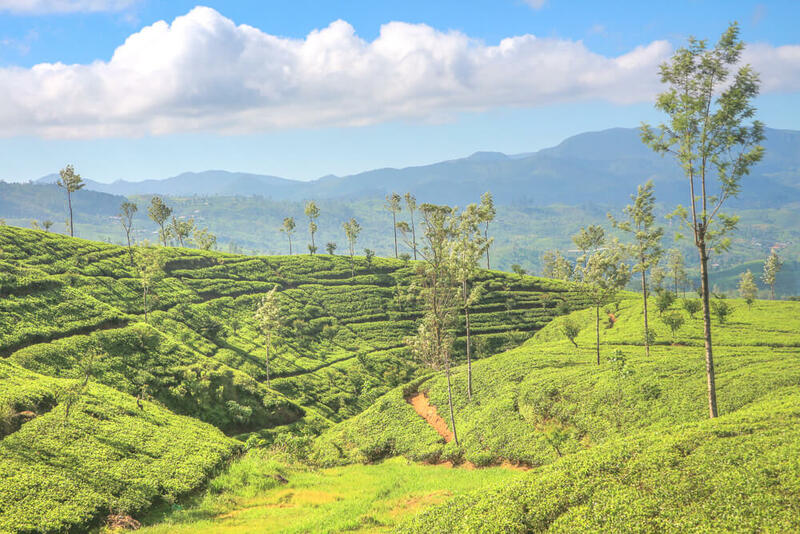 Tours in Sri Lanka can often be arranged through hotels and homestays, so if you’re unsure if you’re getting a good price then just ask around! Internet in Sri Lanka can be somewhat unreliable, so if you want to stay connected we recommend getting a SIM card with some mobile data. While there are tourists sims available on arrival at Colombo’s Bandaranaike International Airport, these actually end up being more expensive for less data than normal SIM cards. You’re better off waiting until you’re at your first stop in Sri Lanka and finding a shop to get a SIM card there. We paid 1,500 rupees for a SIM card with 22gb of data – 10gb during the day and 12gb during the night (12am-8am). Splitting data by day and night time use is common in Sri Lanka, but there are plenty of options to choose from. There are a number of network providers in Sri Lanka. We opted to go with Dialog who had great coverage everywhere we went – from Nuwara Eliya to Tangalle. For more information, check out this article covering different packages and costs for all 5 of Sri Lanka’s network providers. Any network should be fine but we personally recommend Dialog as they had good value SIMs and have the best coverage throughout the country. 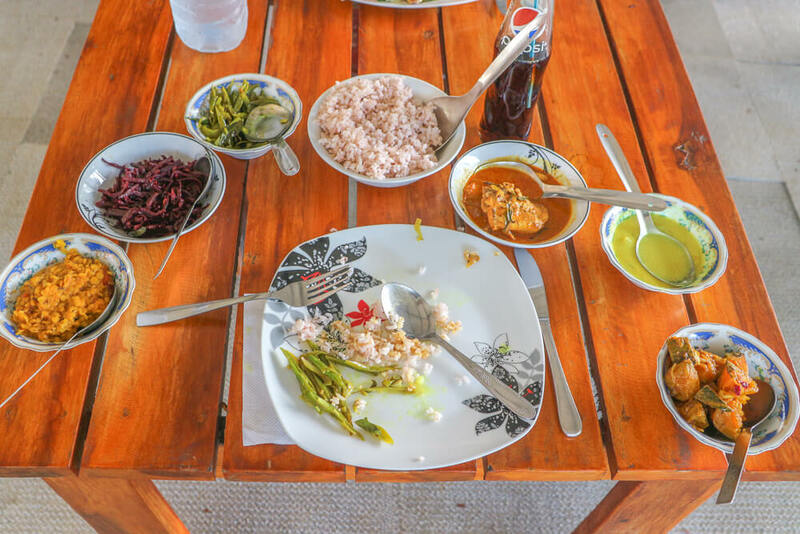 If you like curries, you’ll love Sri Lankan food. When ordering a traditional Sri Lankan curry, you’ll often find it comes with a number of side dishes/curries as well. In one instance we had a curry come with 7 side dishes – so make sure you’re hungry enough before ordering one for yourself! It is technically illegal for women to buy alcohol in Sri Lanka, after a ban on doing so was reinstated. Despite this, we didn’t have any problems when it came to buying drinks for Natalia in restaurants or bars. Outside of restaurants and bars the only place to buy alcohol is designated liquor stores. These stores are typically only open from 9am-9pm. If you’re going to be in Colombo, then PickMe is a great app to help you get around. It’s very similar to Uber and lets you book a tuk tuk or taxi but you can still pay with cash. Alternatively, you can still opt for Uber but we found PickMe to be better value. Unfortunately, neither app has drivers outside of Colombo at this time so you’ll have to find tuk tuks/taxis the old fashioned way! One of the simplest but most important things to know before going to Sri Lanka is that they use 3 different types of plug sockets – type D, M and G. You’ll find different sockets used in different accommodations so it’s best to be prepared with suitable adapters. Alternatively, adapters are generally very cheap in local stores. We were able to get a type D adapter for around 100 rupees, so if you can’t find them in advance you should be ok buying once you arrive! Please note that some links in this article are affiliate links, which means if you make a purchase we make a small commission at no extra cost to you. This money is used to support this website and cover the costs of keeping it online and free to access! 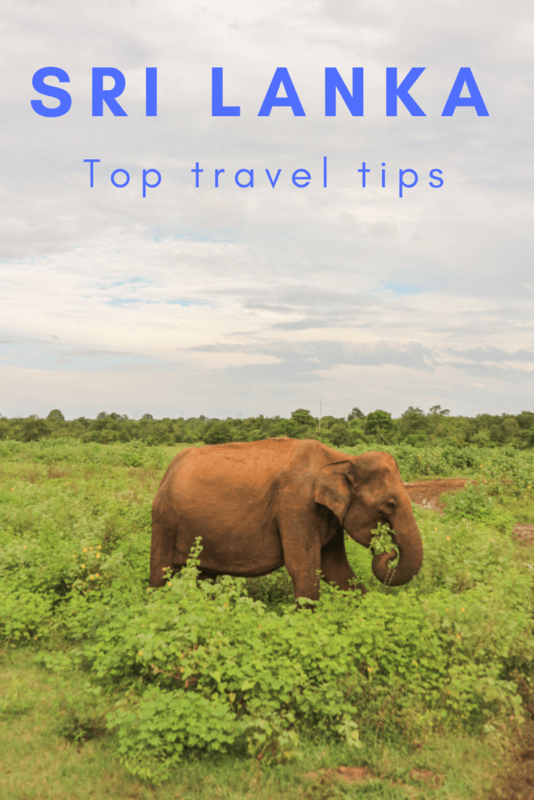 Like these tips for travelling Sri Lanka? Pin them! Thank You very much for this incredible and fully rounded information bundle. Very helpful and extremely useful. Thank you for your wonderful insights and the research you have done. As a Sri Lankan myself I am sadend by the scams you encountered. A sad reflection of many parts of the developing world. Still it’s a great place to go with a lot to see and experience. Thank you! It’s a shame that we were targeted as part of scam, but thankfully it didn’t affect our experience. Sri Lanka is such a beautiful country and we’d love to come back and see more! How many minimum days are enough to explore Sri Lanka? That’s a tough question! We spent around 2 weeks there but there’s so much we didn’t get to see. If you want to try and fit a lot in then it’s worth trying to do at least a month but if not you can definitely see some highlights with a couple of weeks! We're Sam and Natalia and we love to travel! Since 2014, we've spent the majority of our time adventuring around the world - from New Zealand to Colombia. Find out our best travel tips and destinations guides right here on this blog! What is the cost of a Gondola ride in Venice?